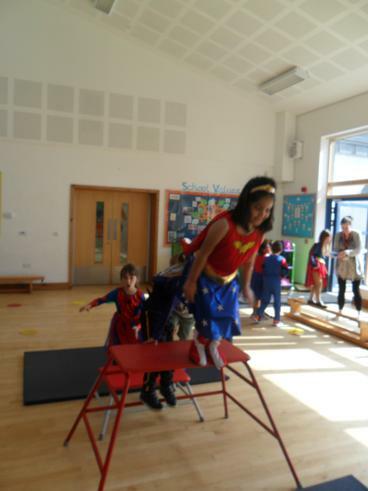 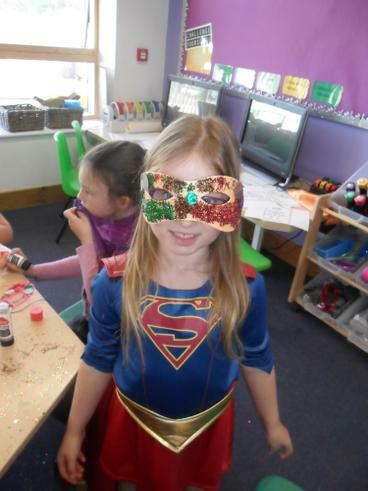 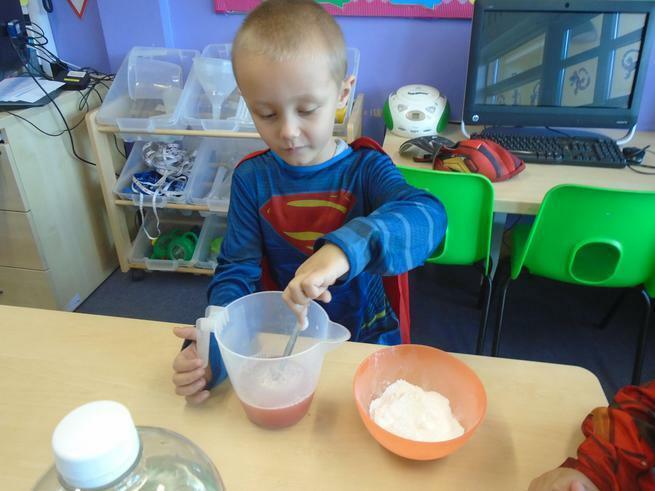 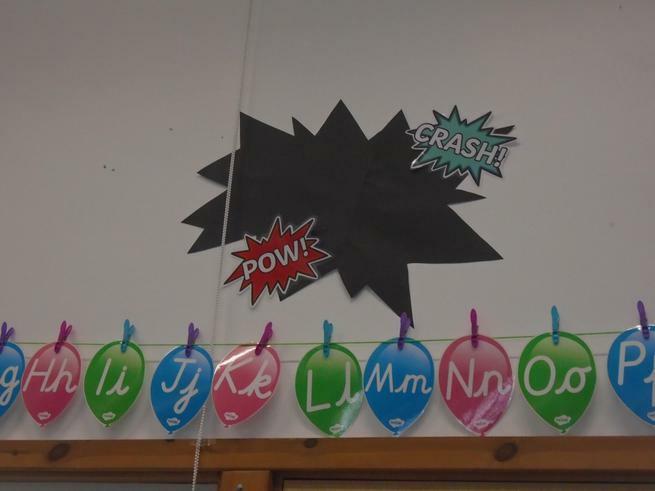 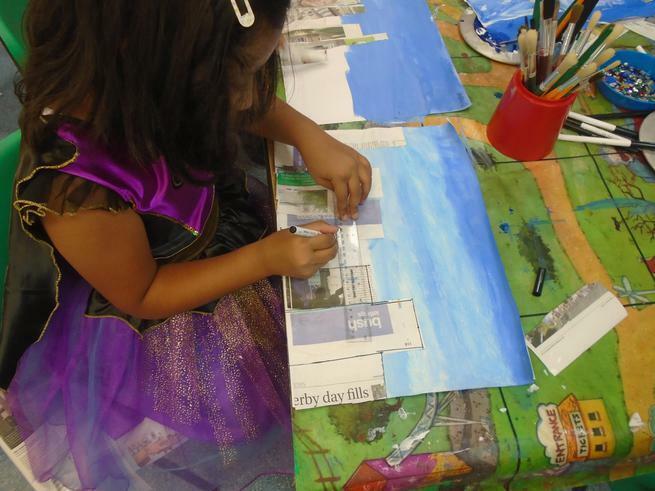 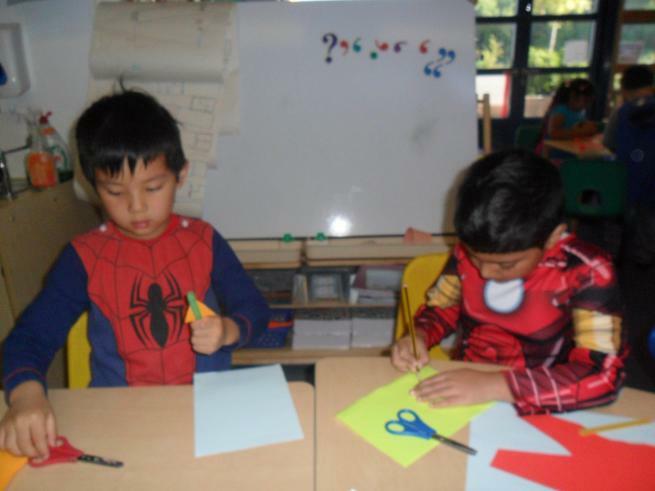 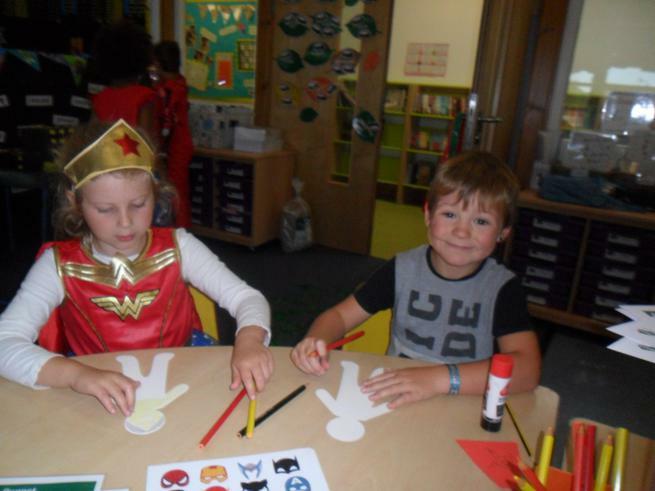 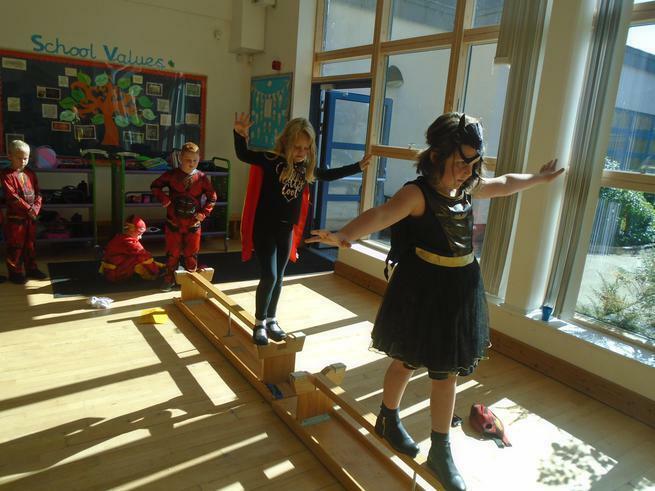 We had so much fun on our superhero WOW day! 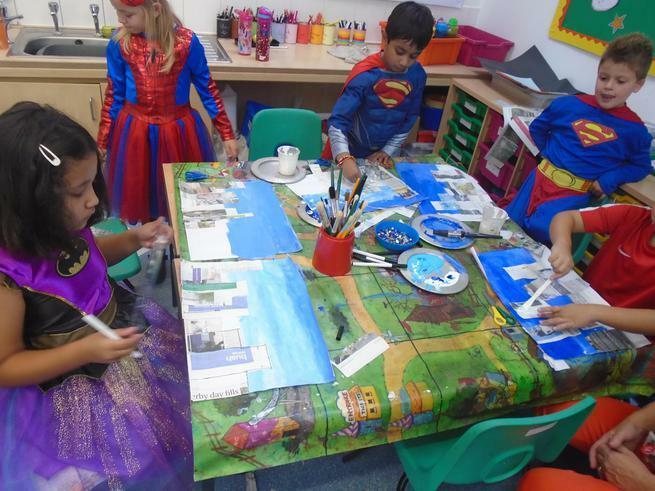 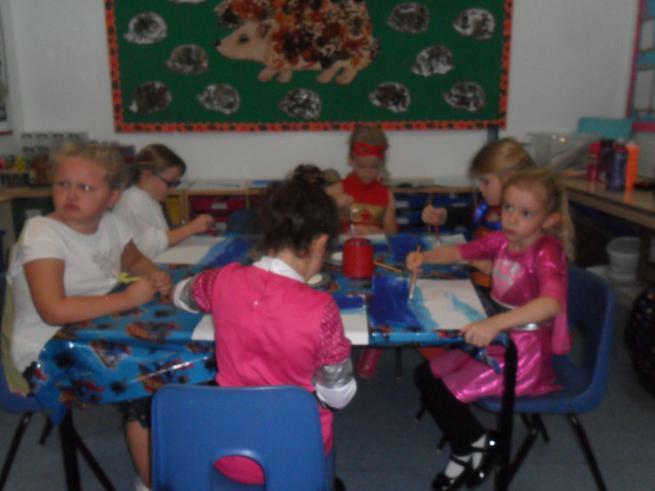 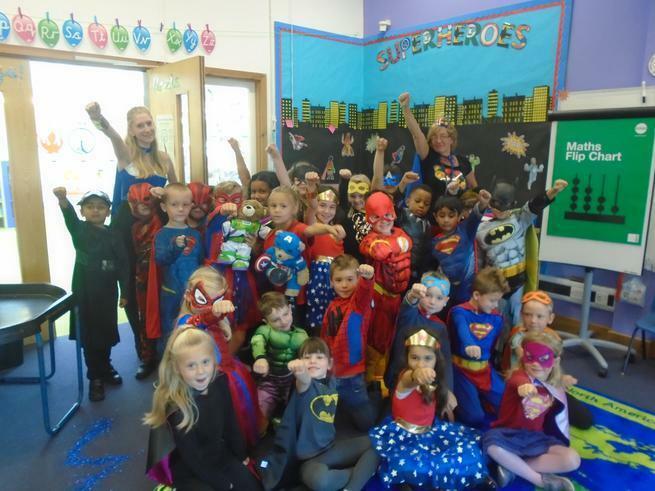 All of the children (and teachers) came into school dressed as their own superhero character. 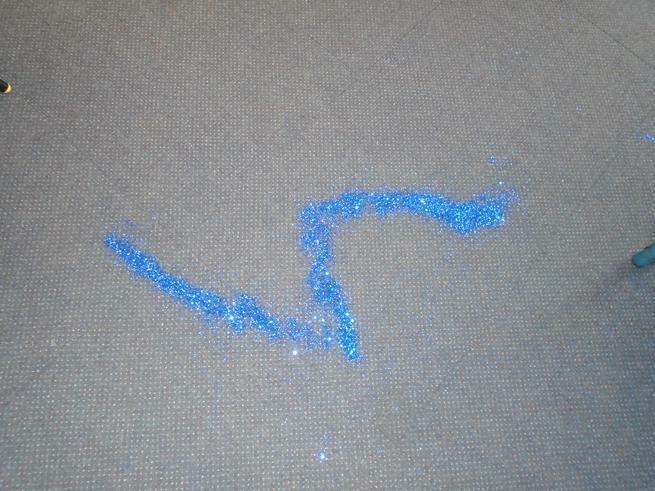 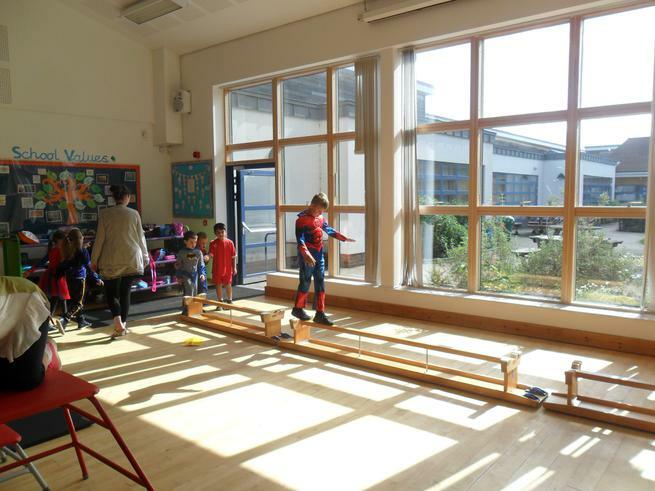 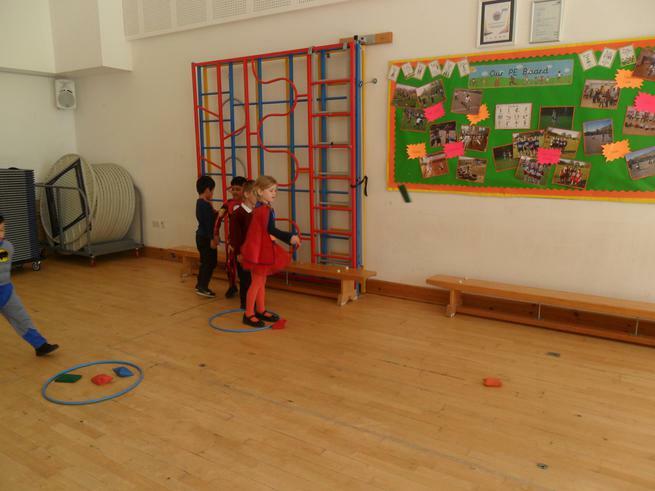 We soon discovered that a super evil villain had broken into the school late the night before and said he would be back to steal all of the colour and fun! 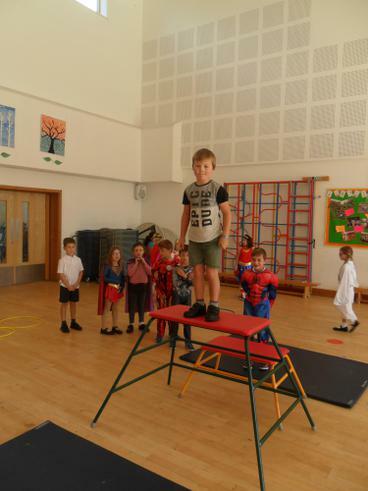 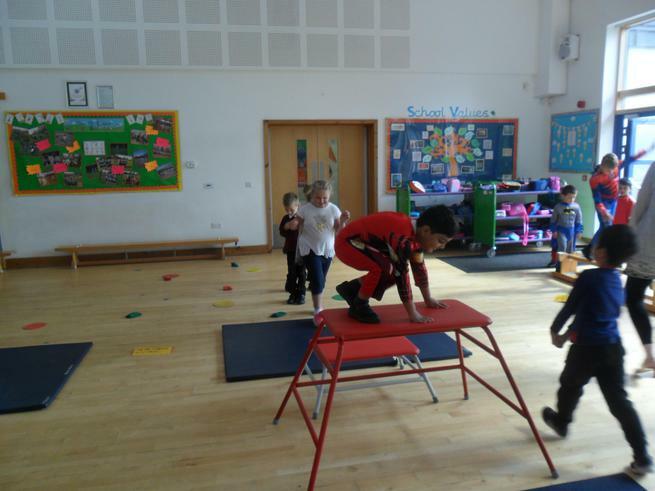 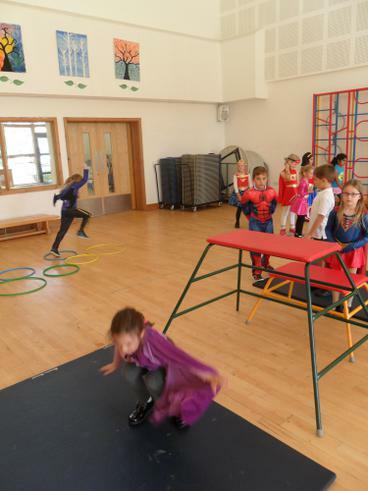 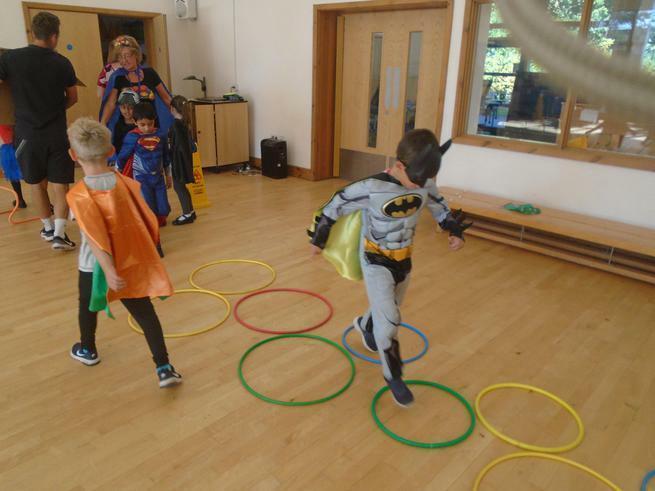 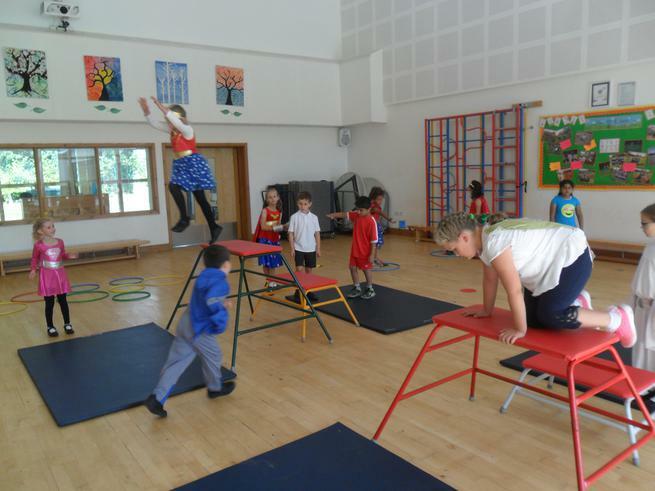 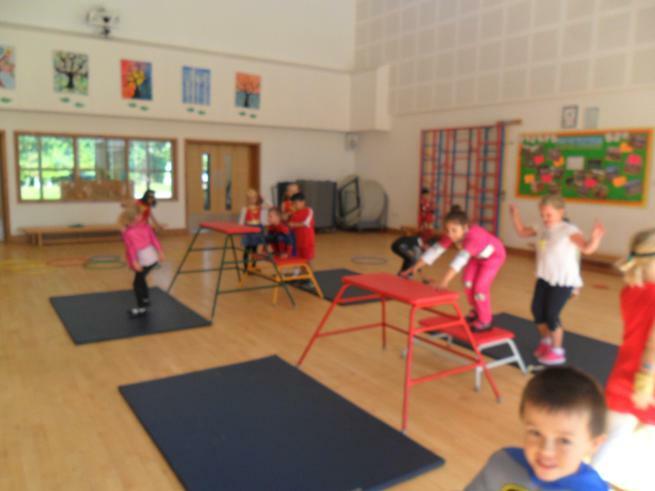 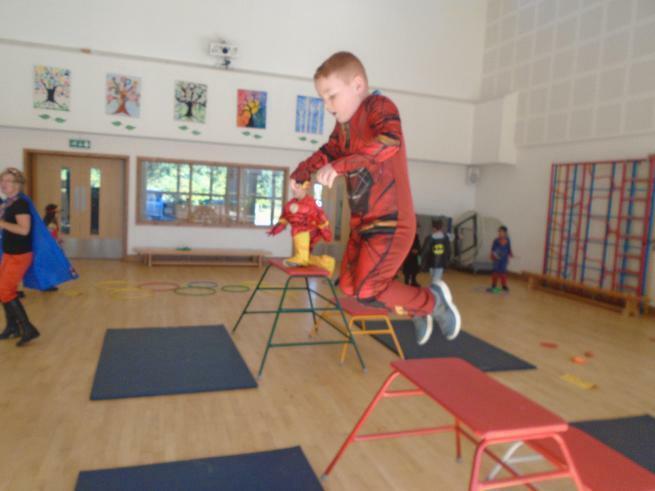 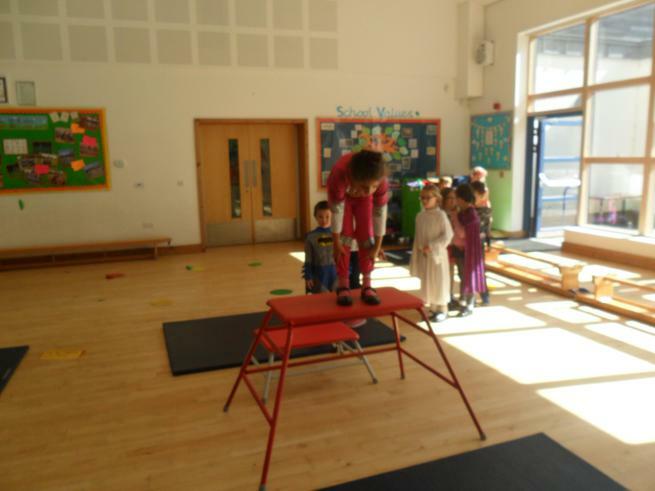 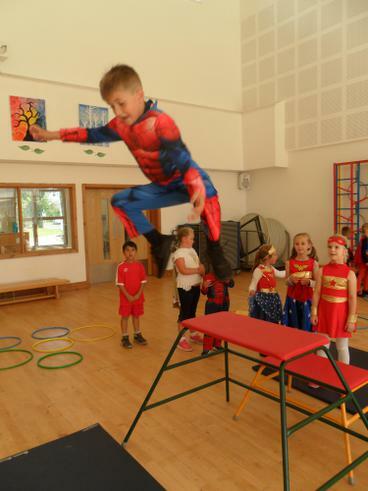 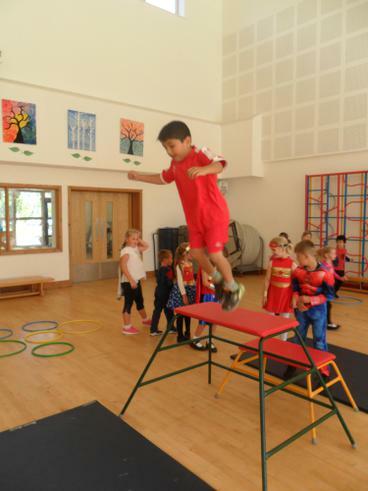 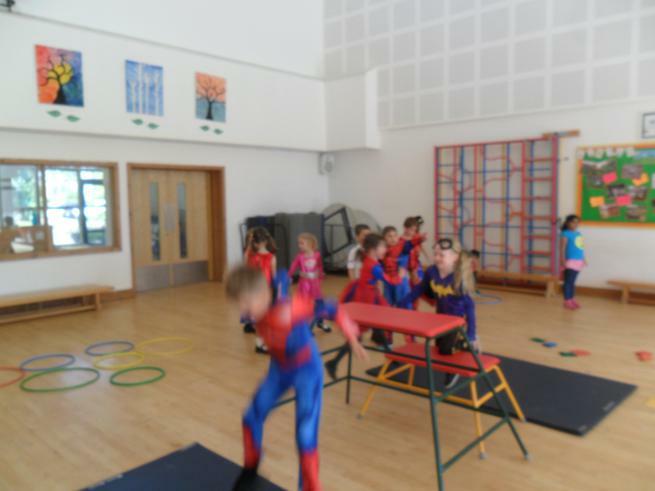 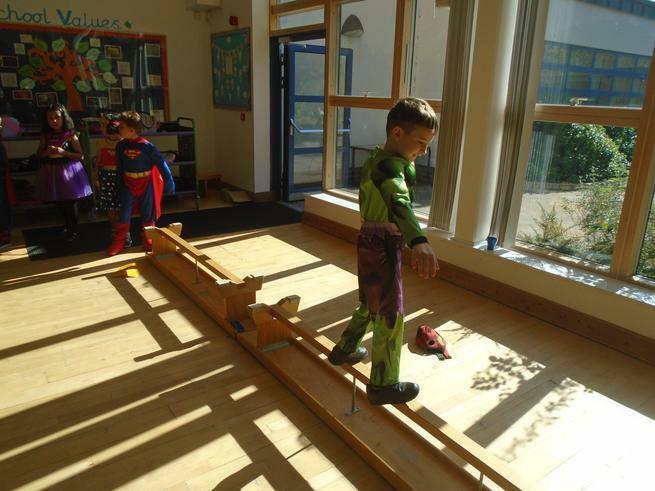 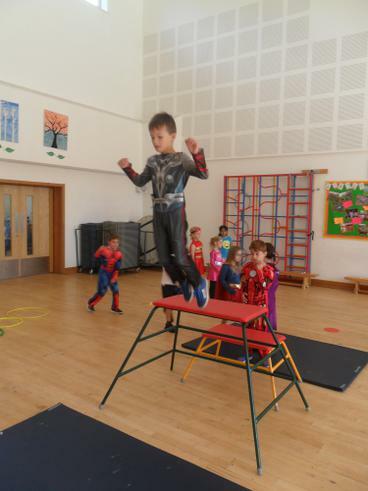 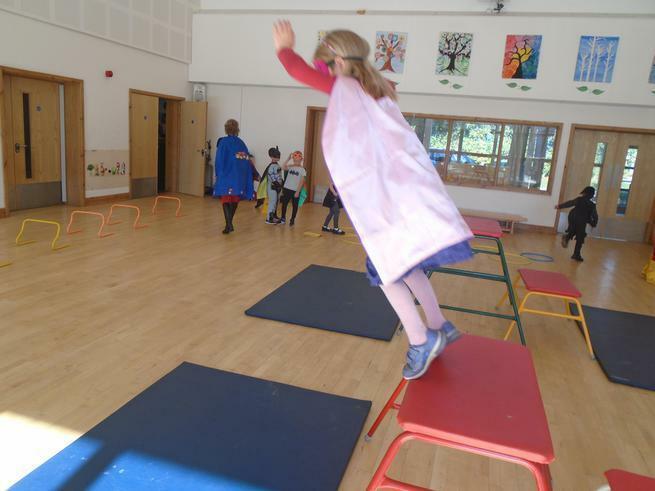 Everyone got busy doing various activities at the Superhero Training Academy to make sure we can stop the villain from returning. 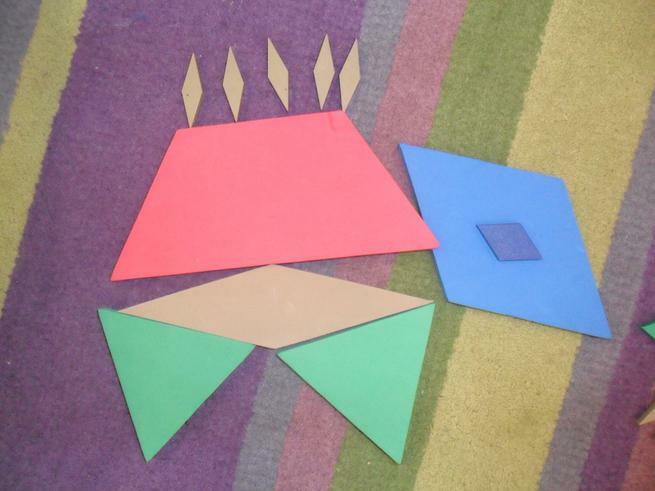 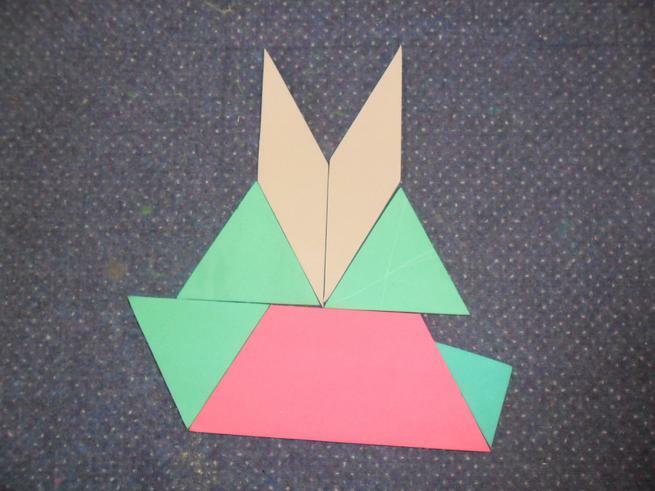 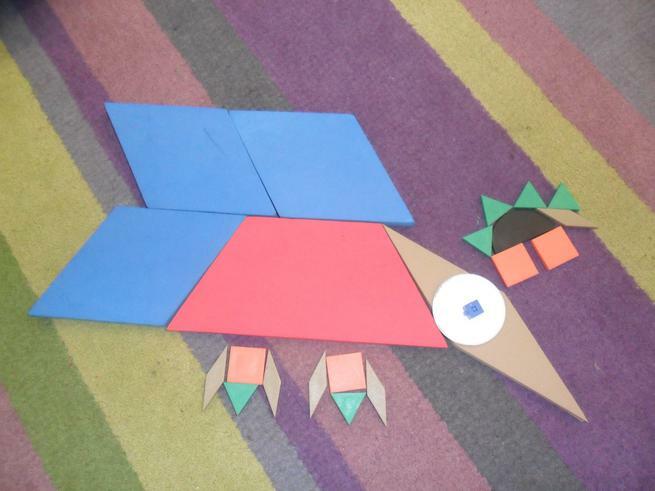 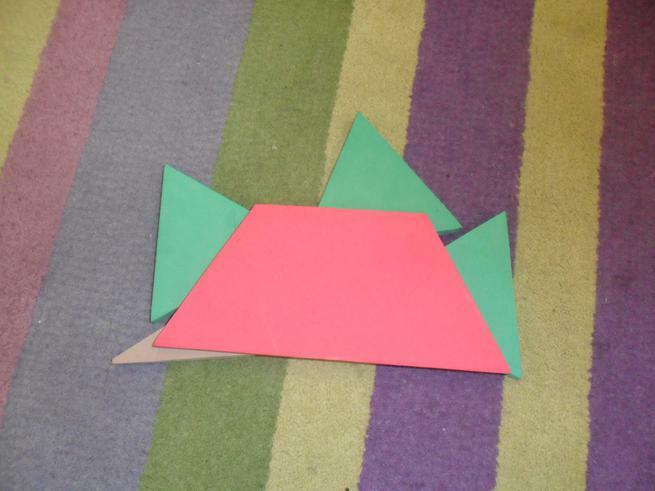 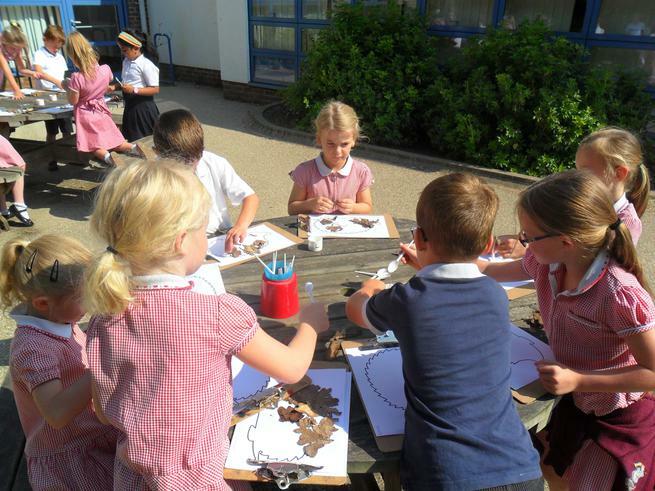 In the first week back at school we had great fun creating our own reading hedgehogs out of old books! 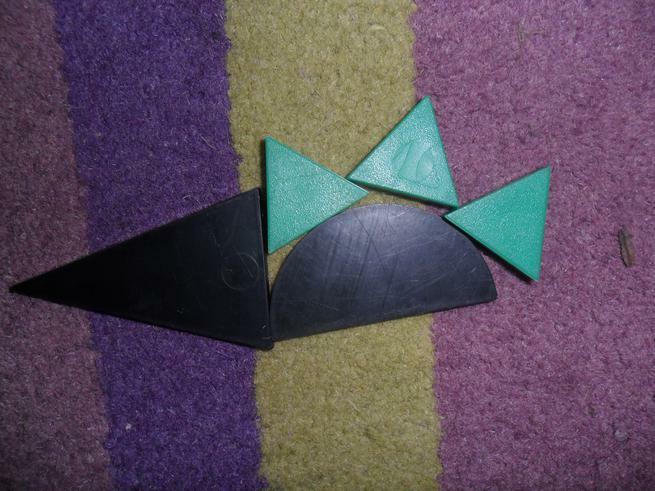 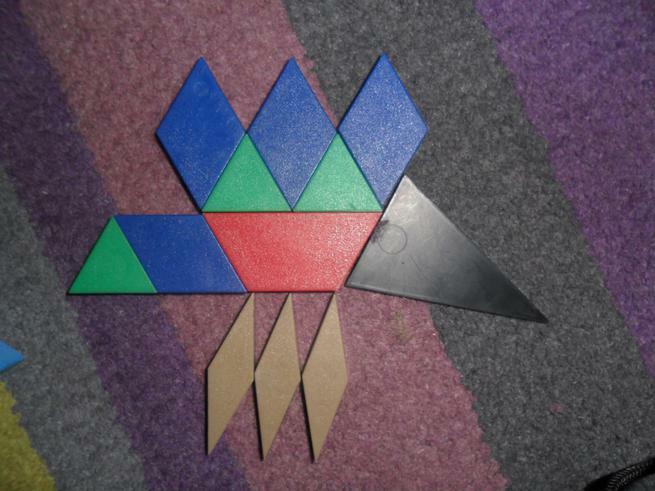 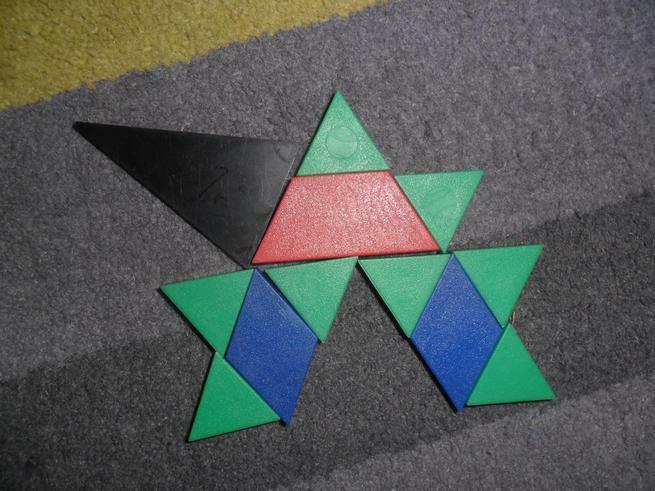 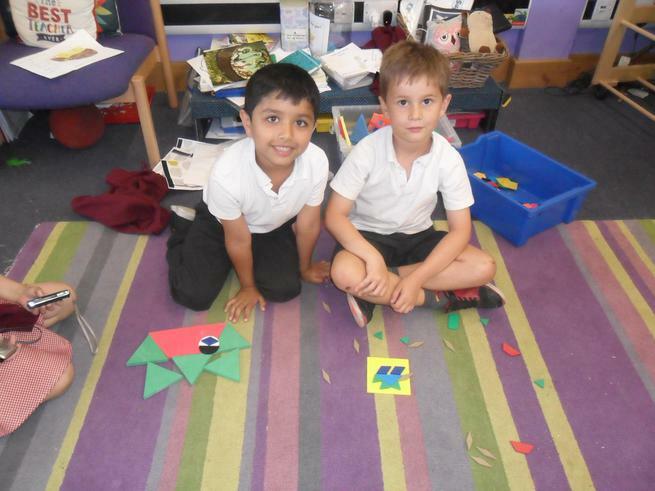 It took a lot of patience and perseverance but we all got there in the end! 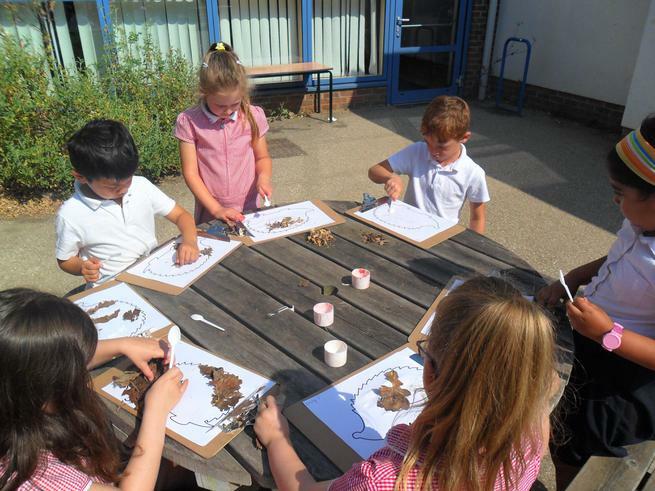 I hope your book hedgehogs inspire you to keep reading lots and lots at home. 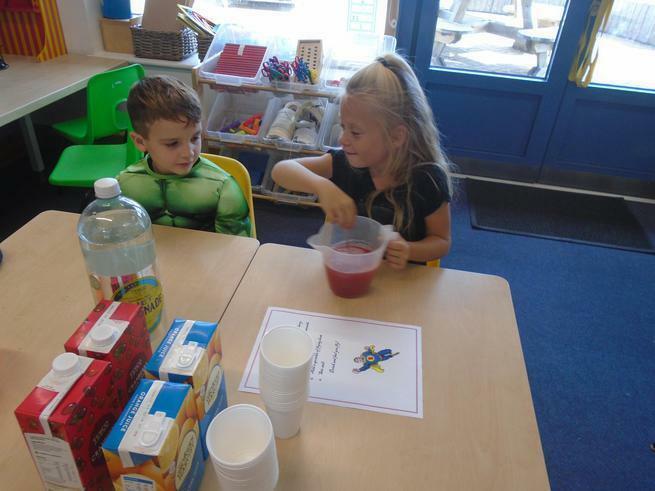 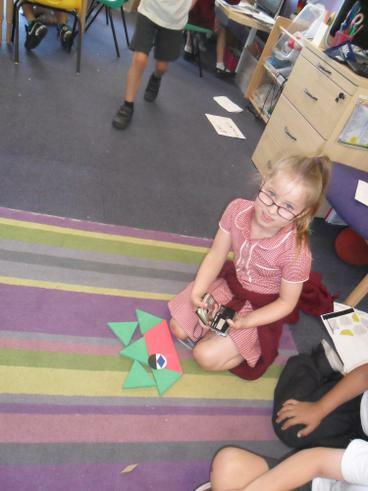 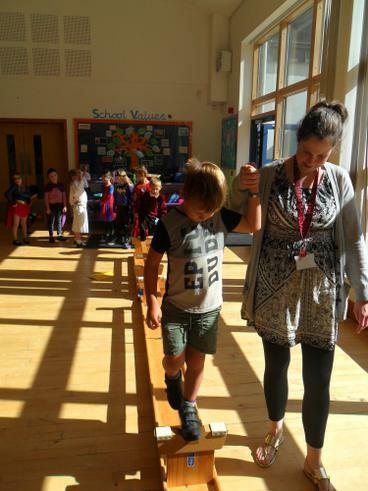 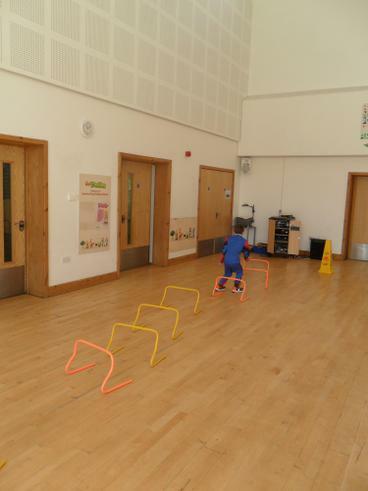 Here are some pictures of us enjoying our transition days together back in July. 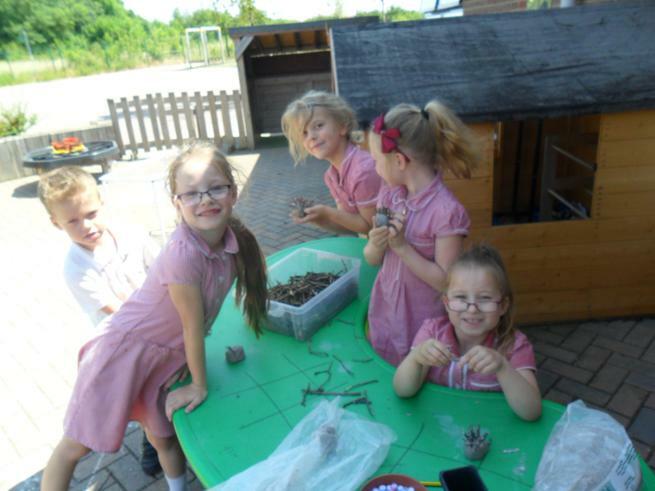 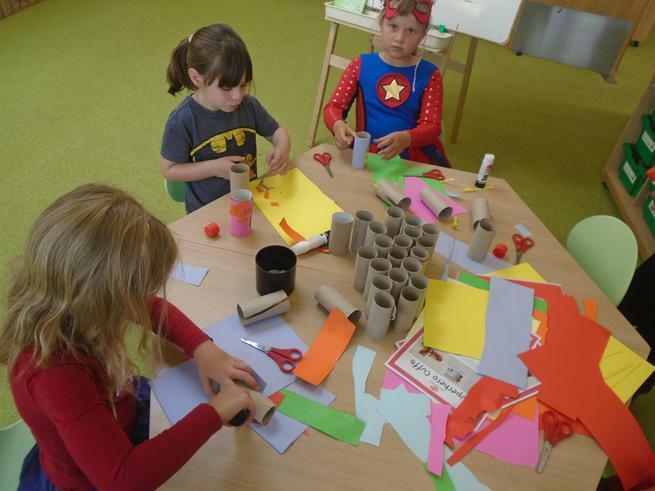 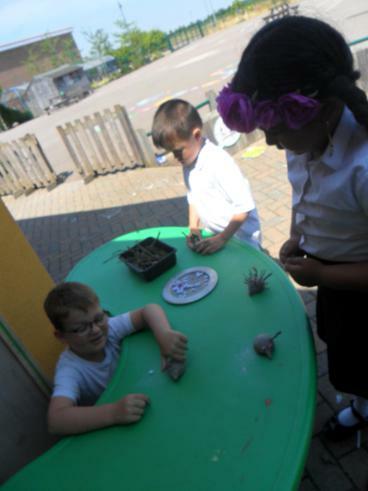 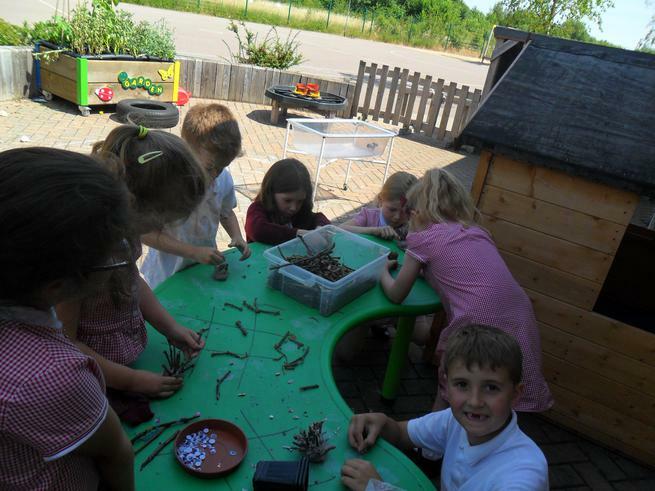 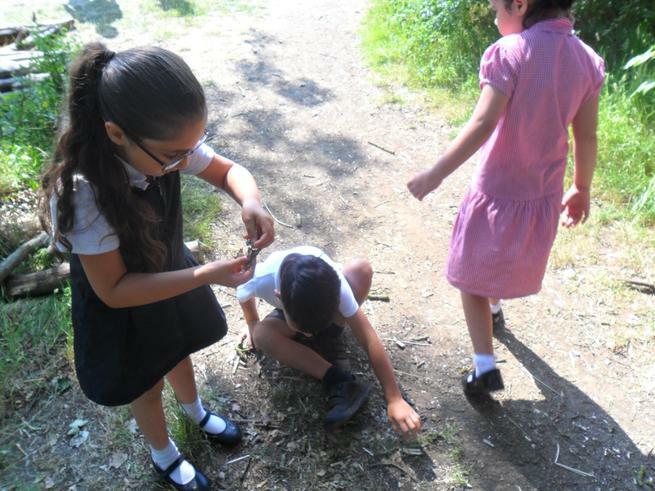 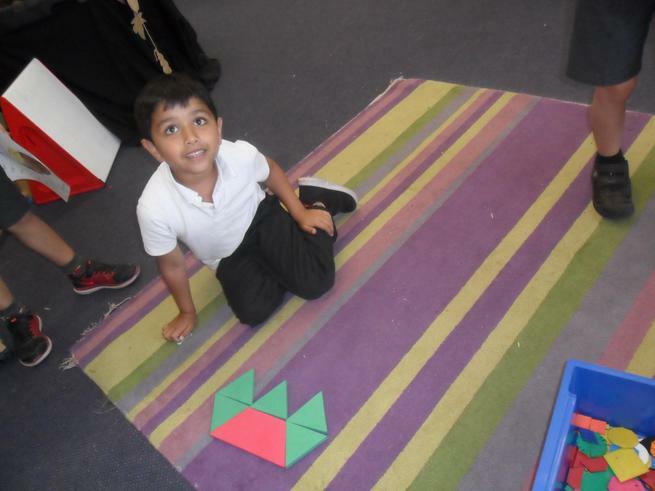 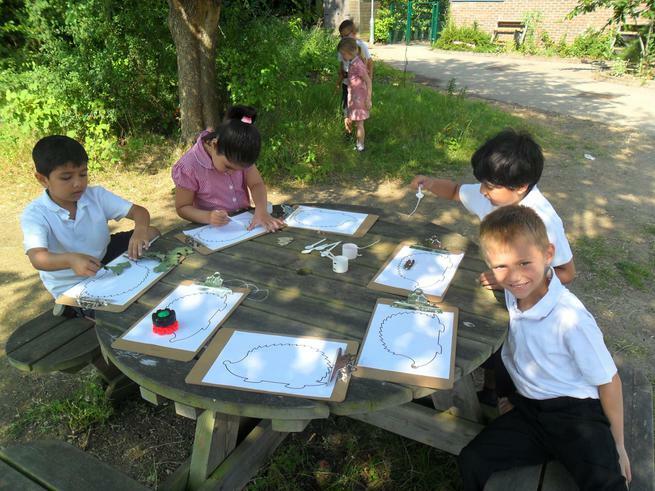 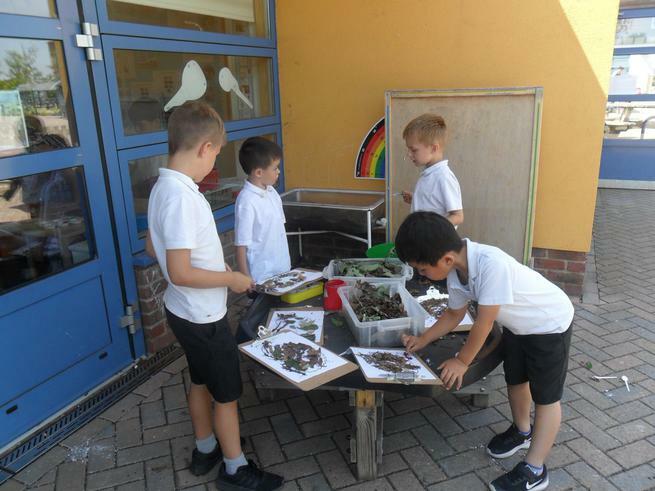 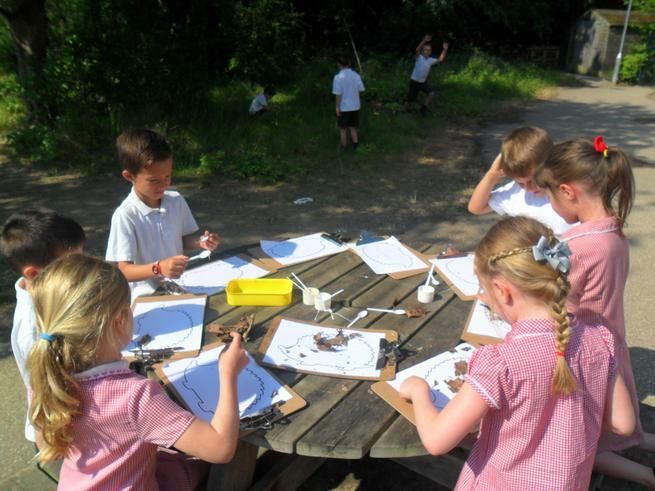 We explored the woods and created hedgehog collages out of natural materials, made hedgehogs out of clay, used shapes to create hedgehogs and lots more!